If you’ve ever had the Swedish meatballs at IKEA then you will fall all over yourself when you try these!!! I’ve been trying to recreate them for years and I think I’ve finally nailed it! What makes me so confident? Because these meatballs are full of flavor, they are not bland like the ones at IKEA (sorry IKEA). 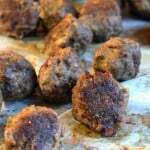 So one of the key ingredients that give these meatballs their distinct flavor is dried minced onion. Please don’t leave this out, it is vital. It is a very accessible spice found in the spice aisle. 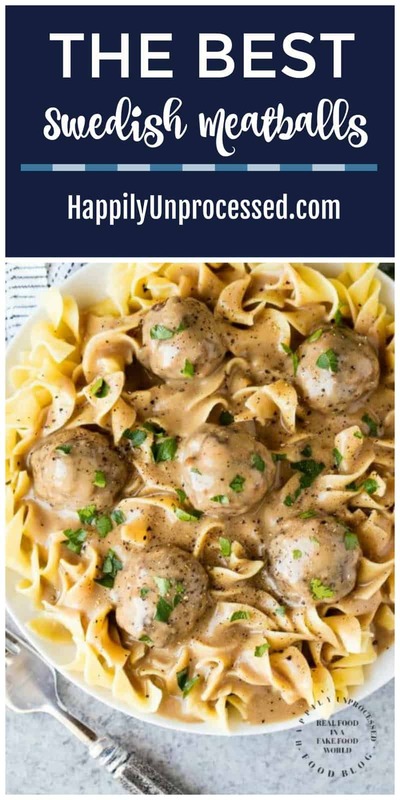 I know some of you out there want to skip the whole meatball step but I don’t recommend using frozen meatballs because … well, they’re processed and just taste nasty (IMO). I’ve kept the ingredient list for the meatballs as short as possible so you can get in and out of the kitchen. You can also make the meatballs ahead of time too, say on Sunday when you have more time. That way on Monday all you have to do is cook them and make the sauce. Speaking of cooking, I bake my meatballs. First of all it’s so much healthier than frying them, not to mention my kitchen doesn’t get all splattered with grease that I have to clean up later. Here at Happily Unprocessed we want to make meals SIMPLE for you to encourage you to cook more meals at home. 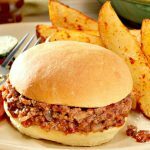 We believe it IS possible to make great simple dinners for your family during the week. 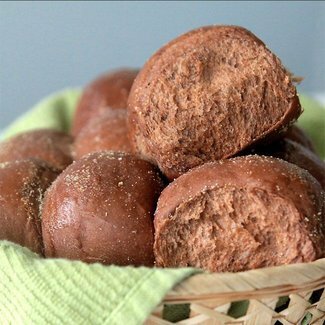 But if you do have a little extra time to bake, check out our Honey Wheat Bread recipe. Homemade baked bread is simply delicious and these rolls pair great with these Swedish Meatballs. 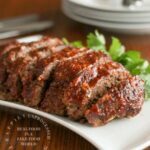 I just made this tonight for dinner and they are epic! 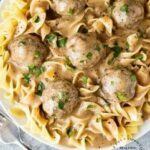 I’ve been wanting to make Swedish meatballs but couldn’t find a recipe for baking the meatballs until now. I baked my meatballs for 30 minutes. 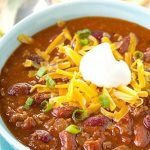 The sauce is really easy to put together and oh so creamy! I’ll definitely be keeping this in my rotation, thanks for the great recipe. Thanks for leaving a comment Jennifer. I’m really glad you enjoyed them!